When designing small-scale interiors there is no room for compromise. In order to maximize the potential of available square footage, configurability in furniture selection is the key to achieving the functionality and comfort we associate with larger spaces. For years, condo dwellers in Toronto have been stuck choosing pieces that are less than a perfect fit. Now, casalife is solving this problem with innovative and ultimately flexible designs. New products on the market are multi-functional and adaptable for unique and individual spaces, allowing the consumer to customize, not compromise. To demonstrate this concept, casalife has incorporated a wide variety of products in the Liberty Village showroom that flaunt the latest trends in configurability, a term that is becoming the ‘new black’ in small space design. casalife’s goal is to educate visitors, and showcase that key pieces can allow small spaces to live up to their full potential. Key ‘configurable’ pieces that can been seen at this years show include: Savvy, Semblance, Iso, and Fusion. Each piece has a different function that will educate visitors on how to shop smart for furniture that makes the most of every inch. 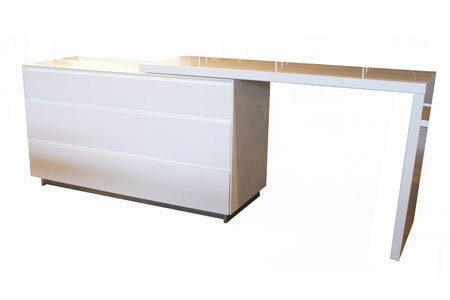 Savvy, a stunning white lacquer dresser with a built in desk, is designed so it can easily be extended from 49 inches to 76 inches. The design is an example of ‘instant configurability’. It can be used as a dresser, desk or both, and allows the user to double up on space. Savvy can be made bigger or smaller depending on daily needs or the physical restrictions of your space. Semblance, a modular system that quadruples as an office, storage solution, dining table and media unit, is perfect example of ‘endless configurability’. 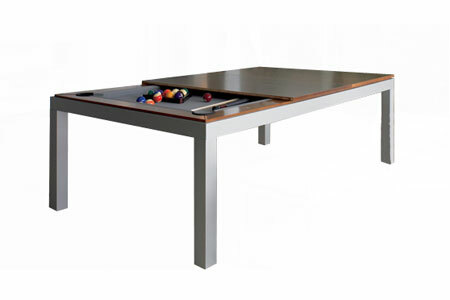 It will fit in a room of any size by selecting the components that best fit the space. Drawers, desktop surfaces and shelving are just some of the pieces that can be re-organized and configured as necessary. Semblance’s vertical storage saves valuable floor space. 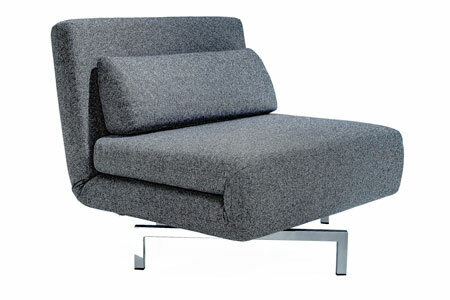 Iso, a swivel chair, has been artfully designed so that it can be folded out into a lounger or fully extended into a single bed. Fusion, a fresh take on a traditional dining table, easily transforms into a billiards table, essentially allowing two rooms to exist in one space. Fusion’s ingenious design is sleek and sophisticated, perfect for condo dwellers that love to entertain but may be short on space. 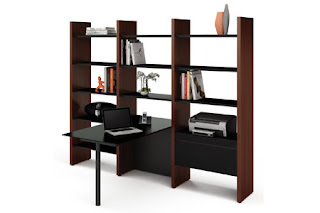 Configurable furniture does more than just save space, it adds value, and that is smart design. By selecting pieces with multiple functions that maximize space, the urban dweller can achieve everything they want in minimal square feet, and that is design without compromise. In addition to offering lessons on maximizing space and making smart design choices, the interior design team at casalife showcase current industry trends. For example, ‘Organic Neutrals’ explores integrating organic elements and textures with crisp whites and neutrals to bring warmth into the space, while, ‘Boutique Chic’, is a trend that features tailored details, tufting, mirrored accents and contrasting colours to give the home interior a look that was inspired from a chic boutique hotel.